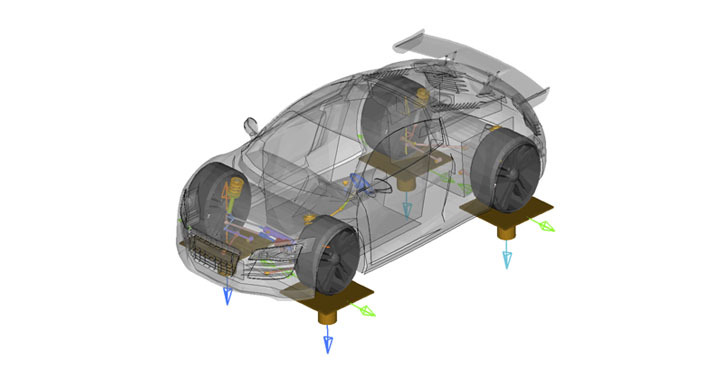 Vehicle dynamics engineers need sophisticated methods for analyzing and improving the "feel" of an automobile. 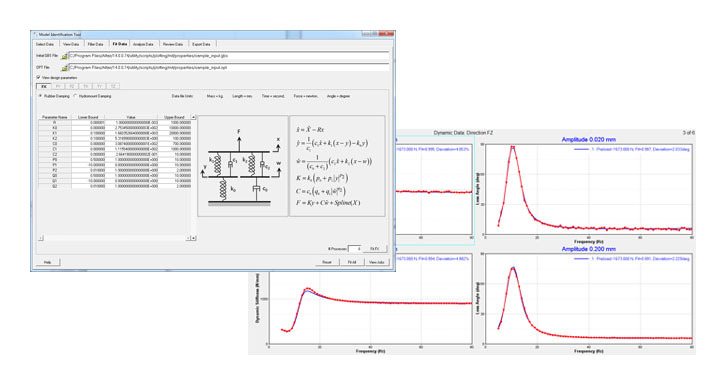 Altair multibody solutions help engineers simulate and optimize all the important parameters that govern vehicle dynamics. Whether you are riding in a an expensive sports car, an inexpensive sub-compact, a rugged SUV, or an off-road vehicle, the ride and handling characteristics mainly determine the perception of comfort and performance of your vehicle. 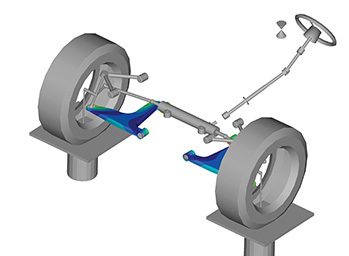 Correct suspension kinematics and compliance characteristics are very important towards improving overall behavior of the vehicle. 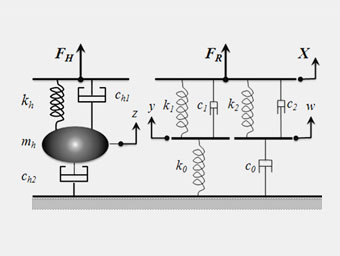 There are several commonly performed tests to study suspension design factors. 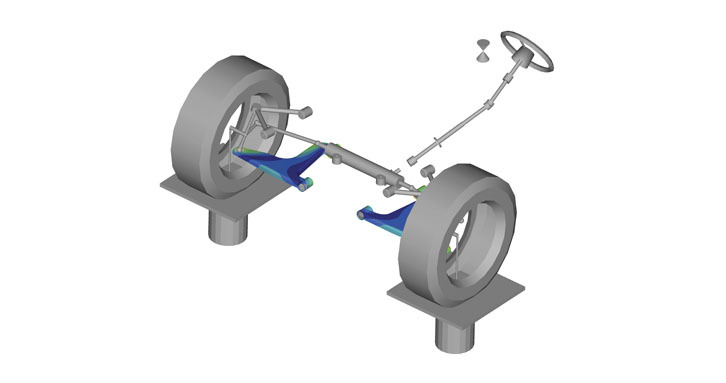 Altair MotionSolve computes more than 90 suspension design factors, which can be kinematic and compliance matrix based. Tuning of suspension factors is often very challenging as one change in a hardpoint can affect several factors. 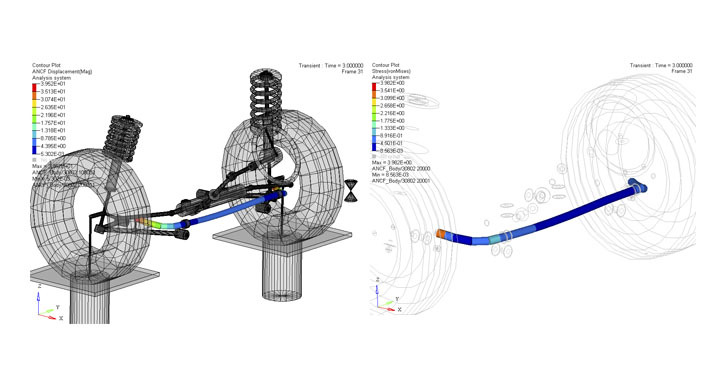 Users can use Altair HyperStudy to manage this daunting task by performing DOE, stochastic or optimization studies. 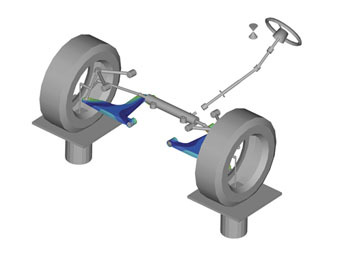 To reduce prototypes, companies around the globe now rely on simulation to perform complete virtual vehicle tests involving several complex components such as tires and driver models controllers. 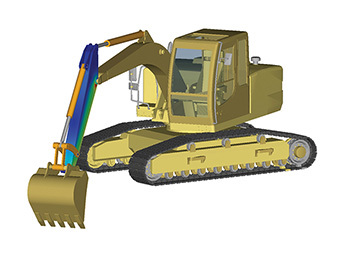 High fidelity models can be built using various modeling elements like tires, roads and vehicle controllers. Altair provides a built-in vehicle library for full vehicle analyses via the MotionView pre-processing interface, covering a wide array of common steering and handling maneuvers. ChassisSim is a multibody vehicle dynamics software that allows race teams and vehicle dynamics engineer to simulate all aspects of vehicle behavior well before the car turns its wheel. 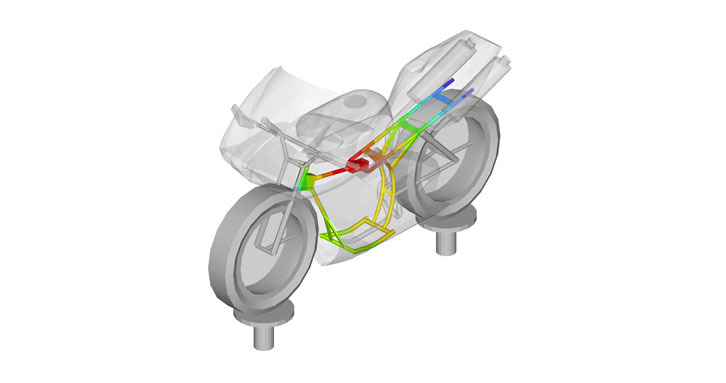 Insight+ from Brüel & Kjær creates the ability to efficiently consider test and CAE data together to assist engineers in better understanding NVH contributions early in the design process. With Insight+, users can source strengths, transfer functions, and contributions from test and CAE, which are evaluated in one "whole vehicle context" environment. 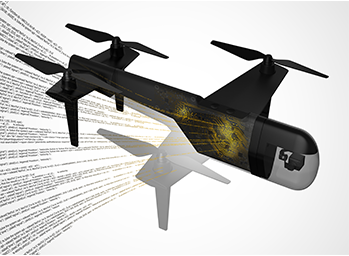 MotionSolve provides a multibody dynamics solution that allows early concept load predictions, easy model modification to improve the design and reflect system changes, and extensive post-processing to understand the performance of the design and the performance of the system.